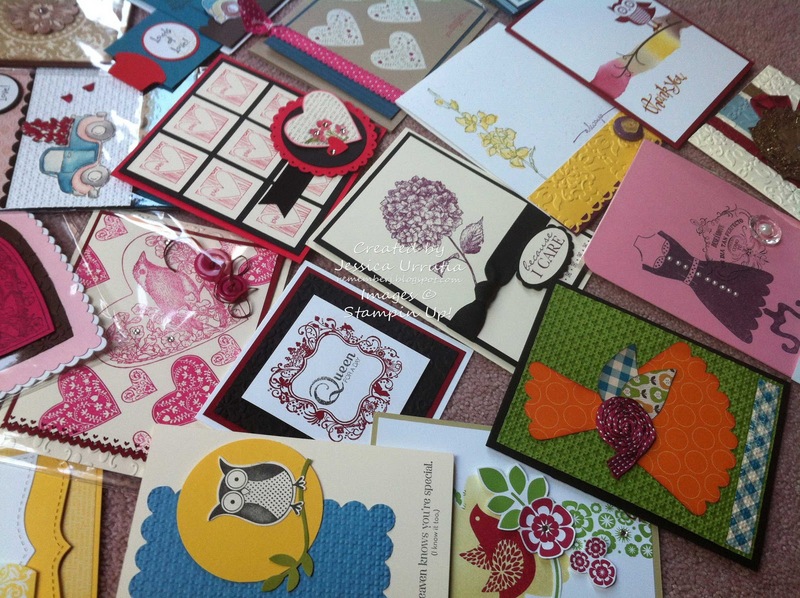 Stamp a Blessing: Bibles for the Jivis! I have a precious friend living in the Amazonas, her name is Zorayma Carlo. Since I met her almost 10 years ago she always has such a passion for missions. I've been reading her newsletters for a long time now. I love her passion for Christ but this week when she sent this pdf my heart leaped...I want to do something. Personally, my Bible is my treasure...how could I live without God's word? Not having a Bible in my life in my native language when I was growing up would have been horrible..not knowing HIS heart for me. But I am forever grateful, He found a way for me. Let's find a way for the Jivis! Tengo una hermosa amiga que vive en las Amazonas, su nombre es Zorayma Carlo. Desde que la conoci hace ya casi 10 anitos siempre he visto en ella una gran pasion por las misiones. He estado leyendo sus noticias por mucho tiempo. Amo su pasion por Jesus y esta semana al recibir esto mi corazon salto...quiero hacer algo. Personalmente, mi Biblia es mi tesoro...como podria vivir sin la Palabra de Dios? No tener la Biblia en mi lenguage natal cuando hiba creciendo hubiese sido desastroso...no conocer Su corazon por mi. Mas vivo agradecida que El hallo la manera. Demos Biblias a los Jivis! 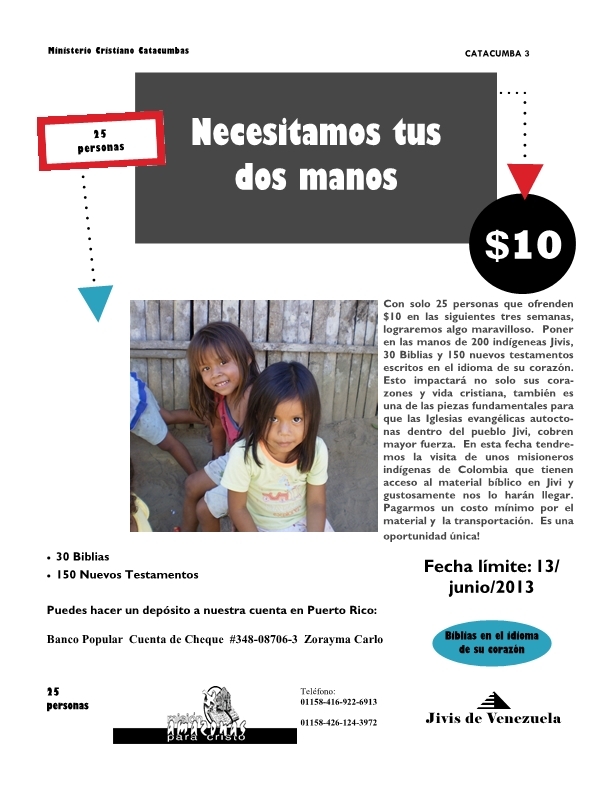 "We need your two hands"
With only 25 people that give $10 dollars in the next 3 weeks, we will accomplish something wonderful. Putting in the hands of 150 Jivis 30 Bibles and 150 New Testaments written in the native language. This will not only impact their hearts and christian lives but will also empower the current evangelical churches in this place. Very soon we will have the visit of come Colombian missioneries who have access to these material written in Jivi and they will help us get it. We pay a minimum for the material and trasportation. Is a unique opportunity. for you to get your crafting gifts or supplies through my ONLINE store. Every ONLINE purchase will bless someone today with a Jivi Bible. Every part of my income will go toward this...including my override income! 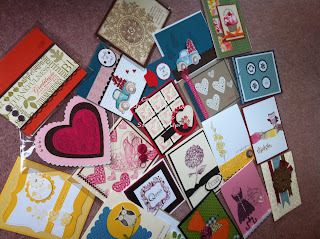 PLUS you enter for the opportunity to win a set of 20 handmade cards waiting for you. All cards made by me! Here is the picture. para que puedas ordenar cualquier productito o regalito de mi tiendita. Cada compra hecha ONLINE va a darle hoy a alguien una biblia Jivi. Toda mi ganancia incluyendo extras van a ir a la cuenta para las Biblias Jivis. 20 tarjetas hechas por mi.Aqui arribita esta la foto. Visit my store today HERE! You only have to pick your products and go to checkout there, place the HOSTESS CODE for the donations to go to the Jivis.If you have any questions or need suggestions for gifts leave me a short message here or on my facebook page (address on top of this page). 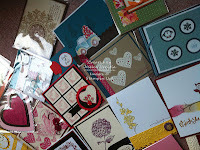 Visite hoy mi tienda de Stampin'Up! AQUI! Solo tienes que escoger tus productos alli ir a pagar y entrar el codigo donde dice HOSTESS CODE para que las donaciones vayan a los Jivis. Si tienes alguna preguntita o necesitas sugerencias para regalitos dejame un mensajito aqui o en mi pagina de facebook (ve arriba).